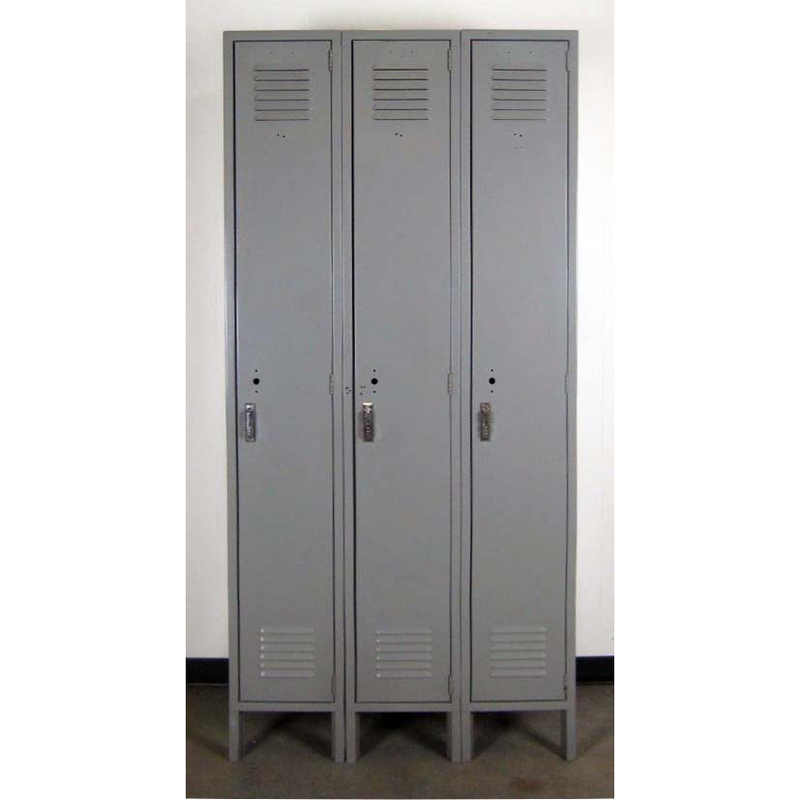 These 1 Tier School Lockers are available on www.buyusedlockers.com where they have a huge selection to choose from if we need additional supplies. 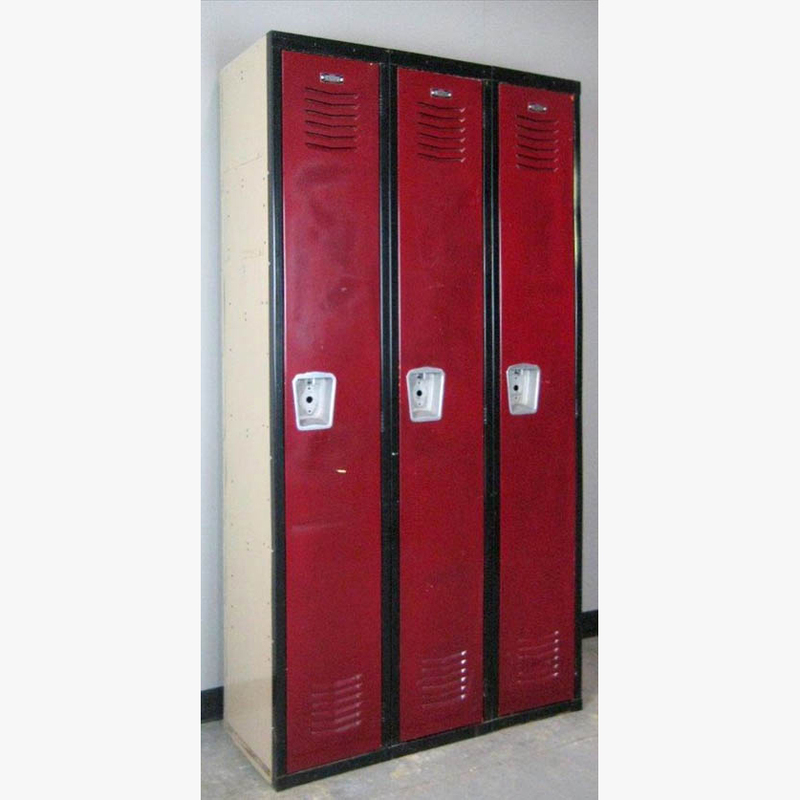 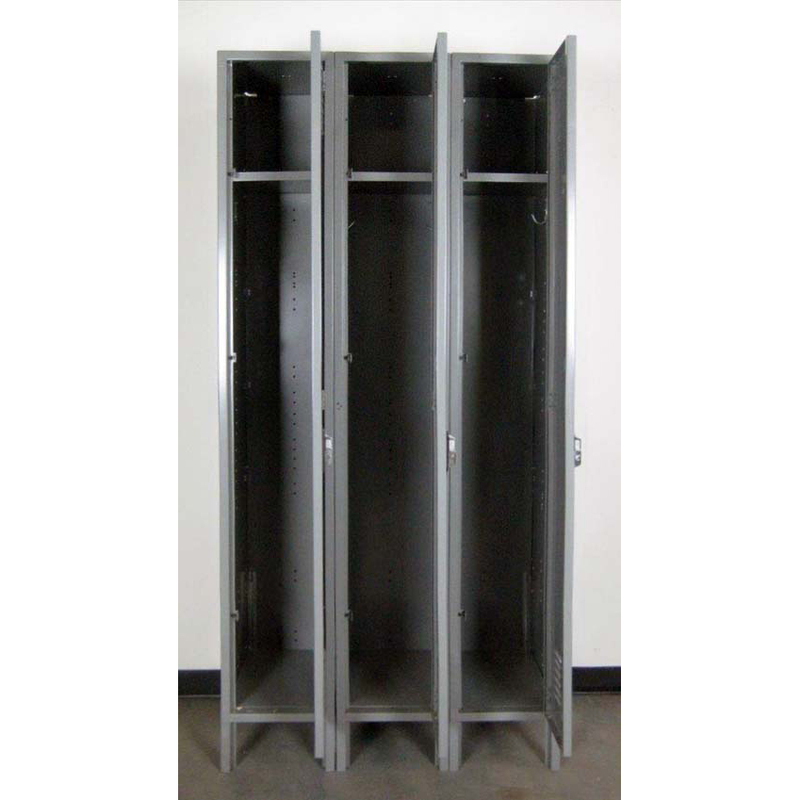 These one tier school lockers are is good working condition and are pre assembled as 1 set of 3 lockers wide. 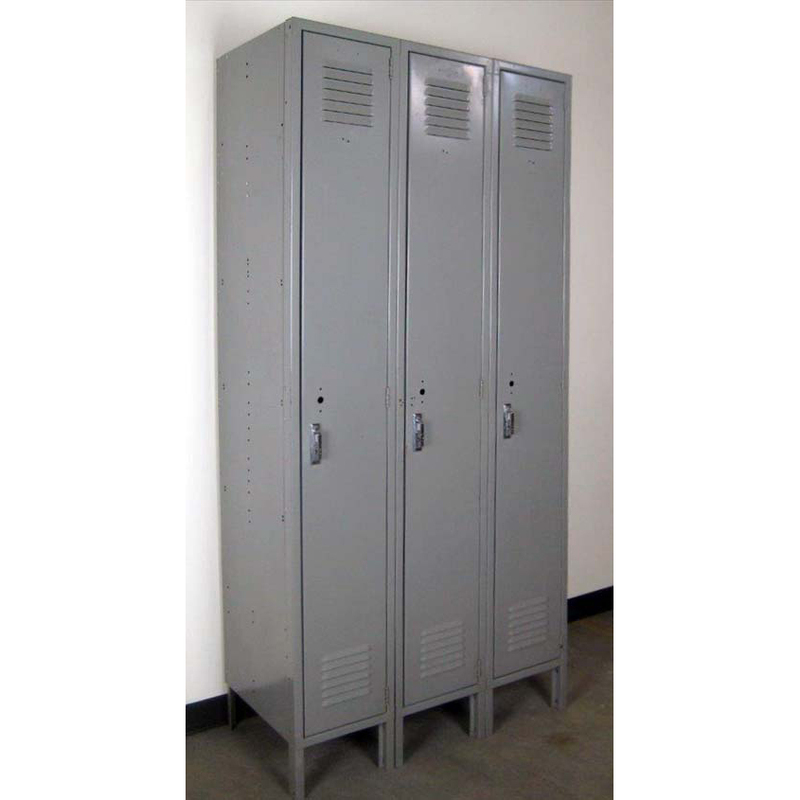 They can be locked with a padlock and include a shelf and clothing hooks to hang clothes and backpacks.